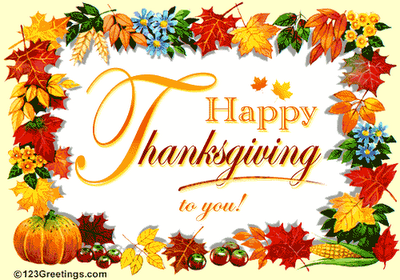 ABAUM'S WORLD: Happy Tweetsgiving! And Turkey Day, too. With Thanksgiving just around the corner, I want to direct your attention to an awesome project my friend Avi Kaplan has helped engineer that is combining the power of the internet and social networking to do some good this holiday season. At Tweetsgiving, over $3300 has already been raised to build a new classroom in Tanzania by people who are using Twitter to thank their family and friends for the things they are grateful for this year. It is a neat way to give back to those who have less. Even at a time of fiscal turmoil in America, I think it is still important for us to realize how blessed we are, in so many ways, for the great country we have, the freedoms we cherish, the friends and family who sustain us, and God for the gift of life. I thought I'd also take this opportunity to express my thanks for some of the the things I am most grateful this year. to my family, for all of their love and support, and for helping me make the transition from work to law school seamlessly. for my friends, old and new, who have brought joy and companionship to me all year long. to City Year, for giving me the incredible opportunity to serve our country with honor, and for continuing to do its good work across the country. to Penn Law, for welcoming me with open arms, filling my head with new ideas and knowledge, and showing me that there is always so much more to learn. Thank you for this great challenge. to the American people, for showing courage and hope by electing Barack Obama the first black president of the United States. to Barack Obama, for inspiring a new generation of Americans to get involved, and leading our country in a new direction. to the good health that I and my family have largely enjoyed this past year. to all the activists, volunteers, public servants, and other individuals who have put others before self, and given so much to their communities this year. to our troops, for fighting bravely and honorably to protect our country and defend our people. And most importantly, Thank God! Thank God for giving me this wonderful gift of life, for sustaining me in life, for the many blessings I have enjoyed this year, and for the tiny miracles that happen every day that give hope and faith to Your people. you inspired me to jump on the blogwagon. hope you had a nice thxgiving, mr. schwartzbaum.